While PC component manufacturers do get things wrong sometimes, there's usually a huge amount of R&D that goes into producing not just individual products but entire product lines too. As such, it can be pretty interesting to hear about when, why and how the big decisions were made regarding the products we all love. Those of you that know me will already know I'm very keen on small form factor PCs. I've watched the growing enthusiast mini-ITX scene expand to extend significantly into modding and general PC's alike and with the latest motherboards offering nearly everything their micro-ATX and full ATX counterparts do, small form factors systems are certainly a great way to save space and make your PC more portable. 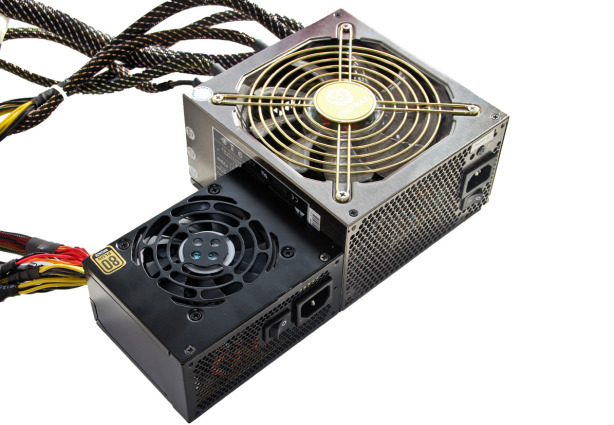 There is one item that sticks out in many mini-ITX builds you see, though, which is the PSU. You can buy reduced PCB graphics cards, with some of these made especially with mini-ITX in mind. 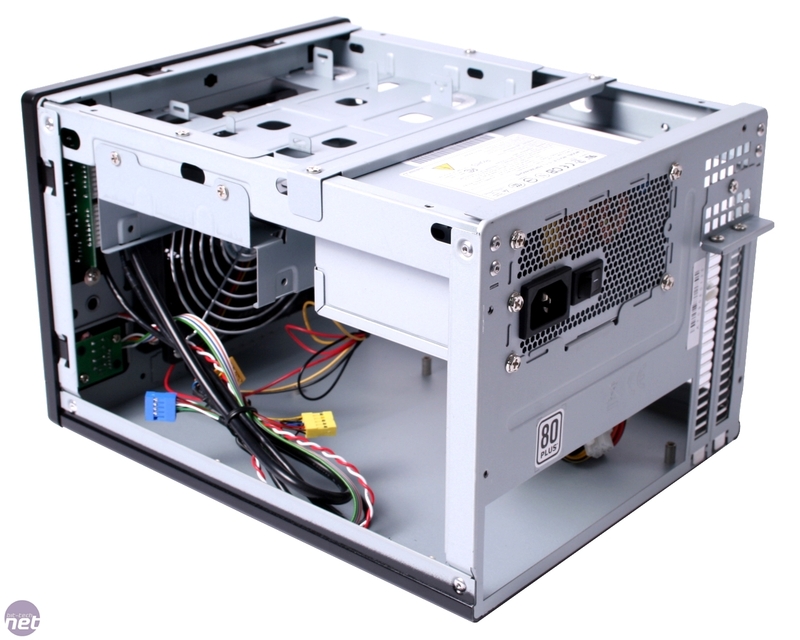 Coolers also come in all shapes and sizes and there are now more mini-ITX case offerings catering for high-end small form factor systems than ever before. 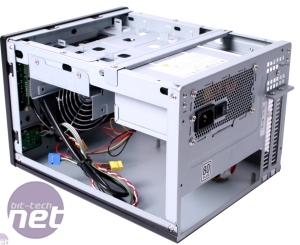 However, the PSU takes up a huge amount of valuable space in smaller cases and often restricts other aspects such as CPU cooler height or the room you have for cable management. Thankfully there are a few options here and my personal favourite is SilverStone's range of SFX PSUs. The company is also very keen on small form factor and HTPC cases too. I've actually got one of its 450W models in my Bit Fenix Prodigy right now, for the simple reason that it gives you a lot more room to play with and I've been able to mount a pump in the lower bay as result despite having a 180mm radiator in the front too. SilverStone is somewhat unique in that it offers SFX PSUs above 350W - in fact its 450W models are enough to handle most high-end single GPU systems in games. 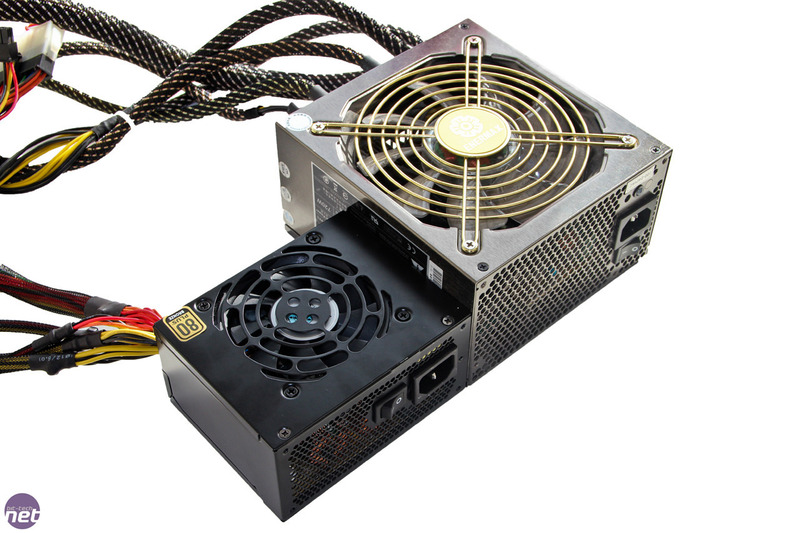 This is key because the latest mini-ITX gear is very much geared towards high-end systems but SilverStone not only offers enough wattage in an SFX PSU, they're also 80 Plus Gold rated and in the case of the Strider ST45SF-G - fully modular too. They've been used to great effect in all manner of mods and scratchbuilds too so while speaking to them recently I chatted with SilverStone's marketing manager Tony Ou, who has been at the company 10 years, about how and why SilverStone decided to offer the most powerful SFX PSU on the market and also if it has any plans to offer uprated models in future. bit-tech - What would you say are the benefits of using an SFX PSU compared to an ATX model and how has this changed the way you design small cases? Tony Ou- The biggest benefit to using an SFX PSU is obviously the size. 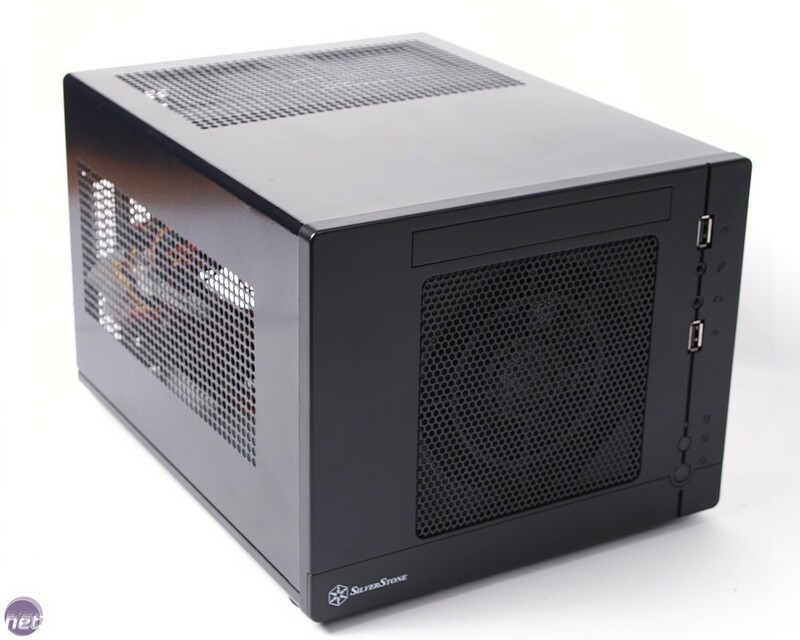 At less than half the volume of typical ATX models, they save a tremendous amount of space inside the case. This allows our case designers to either cram more hardware into a same size case design or make a smaller case with the same amount of hardware. Besides enabling better small form factor designs, SFX PSUs can also be used in any smaller case that were originally designed for ATX PSUs. With a simple adapter bracket (which we include in all of our current retail SFX models), an SFX PSU can be mounted in ATX PSU slot as well. This helps with making the build cleaner because of less clutter and gives users possibilities for fitting larger components (e.g. CPU coolers, larger optical drive, etc…) that may have interfered with an ATX PSU inside a smaller case. For us at the design level with retail cases, we have much more freedom to explore various case layouts and sizes now that we don’t have to limit ourselves to just ATX PSUs. 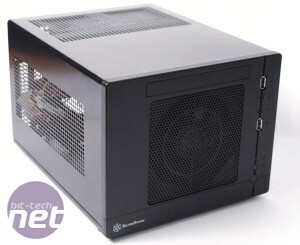 bit-tech - Did Silverstone decide to make SFX PSUs to launch cases that use them such as the SG05 (see our review [imgurl=]http://www.bit-tech.net/hardware/cases/2009/05/01/silverstone-sg05-review/1[/imgurl]) and SG06 or was it because there was a gap in the market for a premium, medium wattage SFX PSU? Size - This was discussed earlier when we talked about SFX’s advantage over ATX PSUs. Proportion - This is important too because while FlexATX or 1U PSU are small in terms of volume, their elongated designs limit PSU placement in a SFF chassis. The more square design of SFX is similar to ATX and is much more flexible. 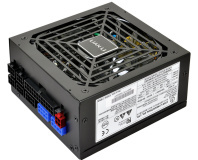 Cost - SFX has the best cost per watt of all SFF PSUs. We believe that in order to make SFF more popular and more accessible, the PSUs used in them should be relatively affordable. Initially we could only offer SFX cases bundled with SFX PSUs because there were few choices on the market to buy them separately for average consumers. As more people started building more powerful systems into SG05s, we quickly realized that in order for this form factor to be truly successful, there needs to be more attractive choices so we launched ST45SF the following year to keep enthusiasts coming back. 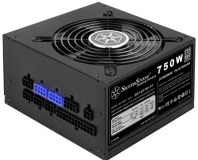 It was the first true retail SFX PSU that had higher level 80 PLUS certification (Bronze) and significantly more wattage than any unit available on the market at the time. Sales for this unit were modest, but there were enough positive responses from the SFF enthusiasts that we felt the direction was right and this lead us to develop even better SFX PSUs later. bit-tech - Your range of SFX cases is still quite small compared to your ATX cases – do you have any plans to increase the number of SFX-based cases? Tony Ou - I think we may have more SFX cases than some of the smaller brands have in total cases! There are already 10 models available to choose from SilverStone now and if you also include SFF cases that take ATX PSUs but could benefit from installing an SFX PSU, then you are probably looking at up to 20 models. With that said, we are committed to this form factor and will continue to release more cases to take advantage of SFX.